Because work and school are so busy at the moment we haven’t had a chance to complete all the experiments yet, but I’ll show them all and you can see which ones we’ve done so far. The box is bigger but it still fits through the mailbox! 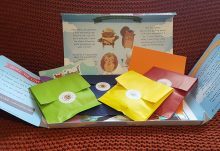 This is much more extensive than the previous box for younger children. It has six experiments! There’s also some extra equipment, including a pair of real protective goggles, a flask, badge, scissors. 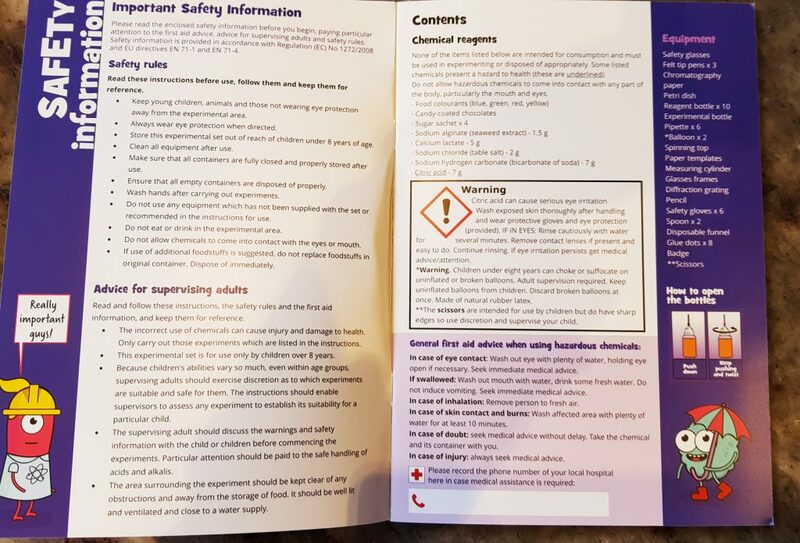 The booklet starts with guidance and advice for parents. 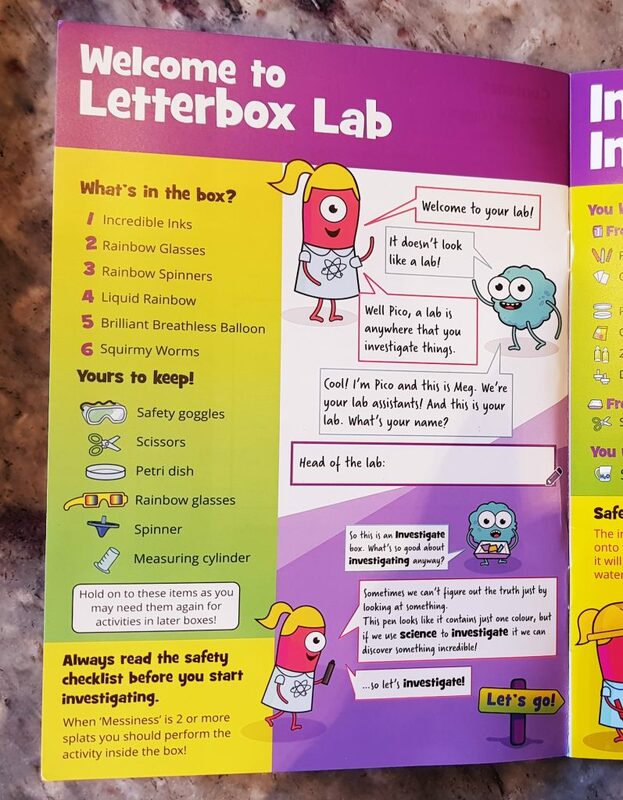 Kids definitely need to be properly supervised for this, because we’re now working with real chemicals. There’s also a list so you know what you’re working with. Here’s the instructions for kids. There’s a list of experiments, plus everything else inside the box. You’re also introduced to the little characters who guide you through the experiments. 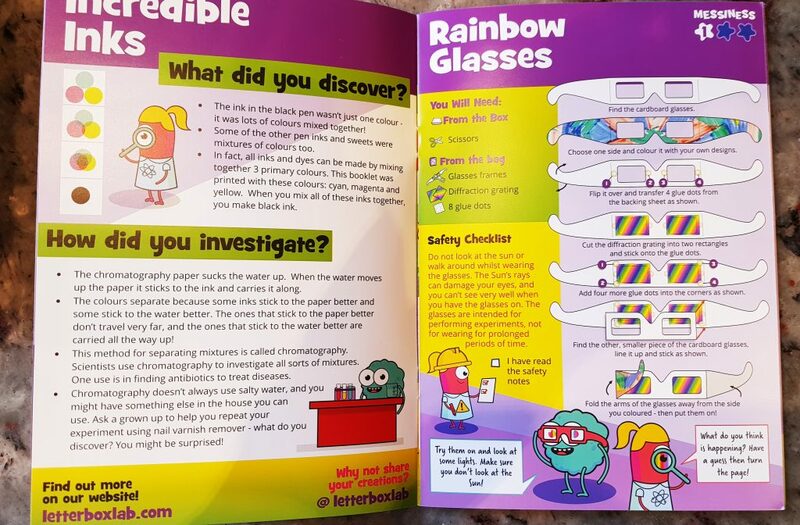 Two of the experiments: Incredible Inks and Rainbow Glasses. Incredible Inks used chromatography paper to separate out different colours in ink from felt tip pens. It was very interesting to see what looked like black ink separate out into different bands of colour! 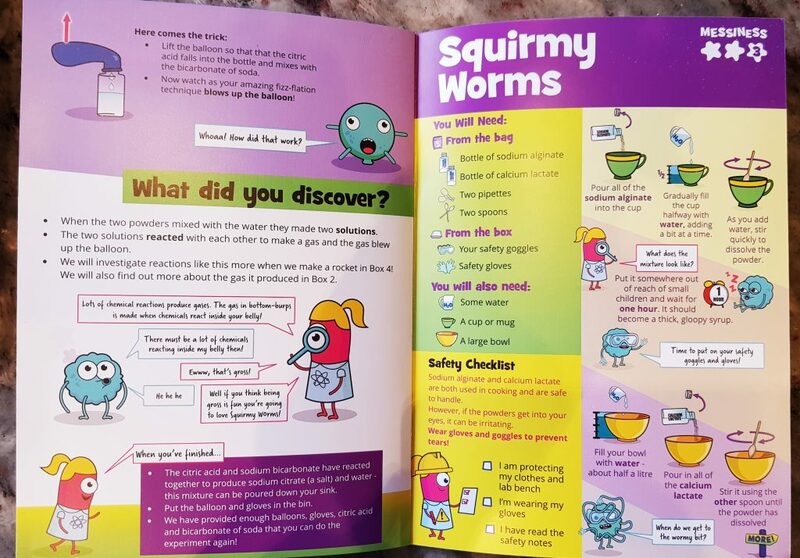 The booklet tells you how this can be applied in different ways in science. 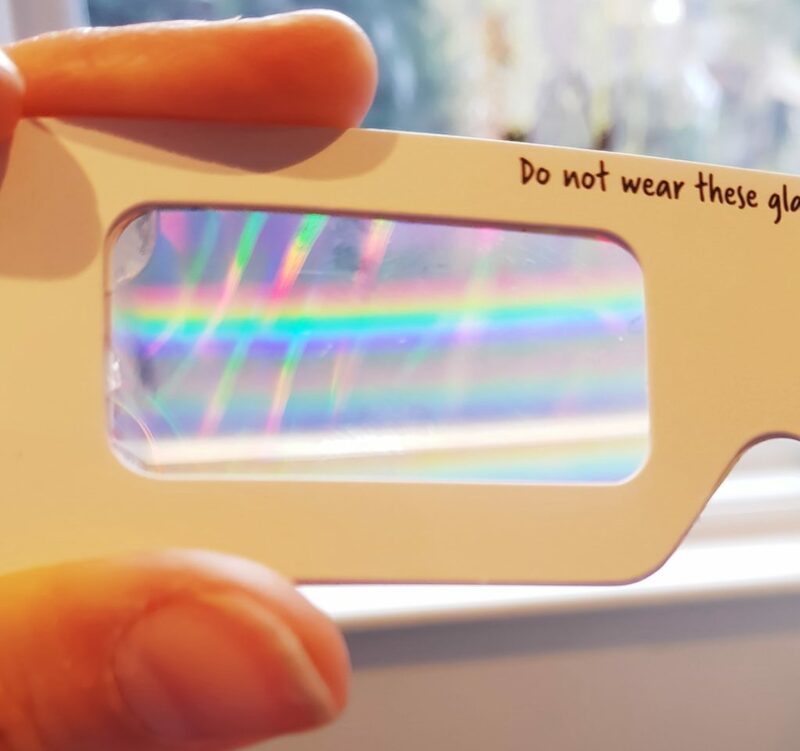 For these you got cardboard glasses frames, and you put the glasses together with diffraction grating as lenses. And this is what you see when you look through them! The diffraction grating separates out the colours in white light, and it looks very cool indeed, especially when you look at all kinds of different light sources. 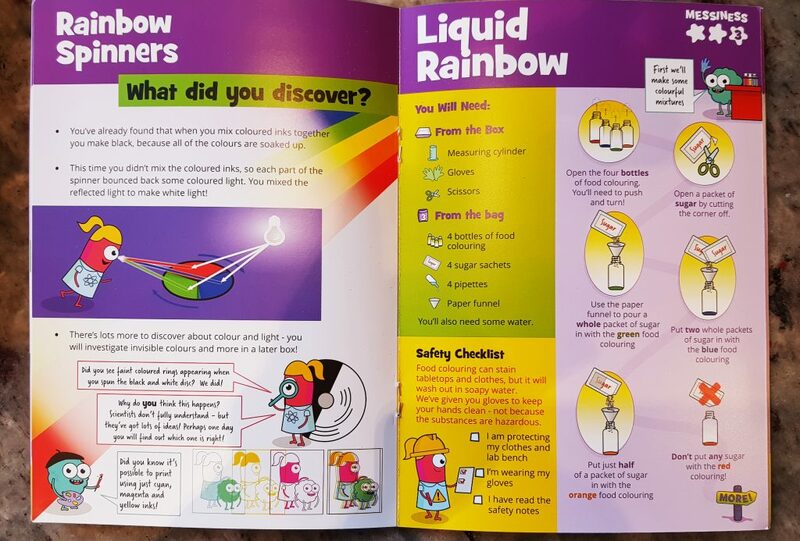 Liquid Rainbow is one of the experiments we haven’t yet done, but it’s all about the layering different solurions according to their weight and density. I think this is going to be fascinating. It’s also what the plastic flask is for. 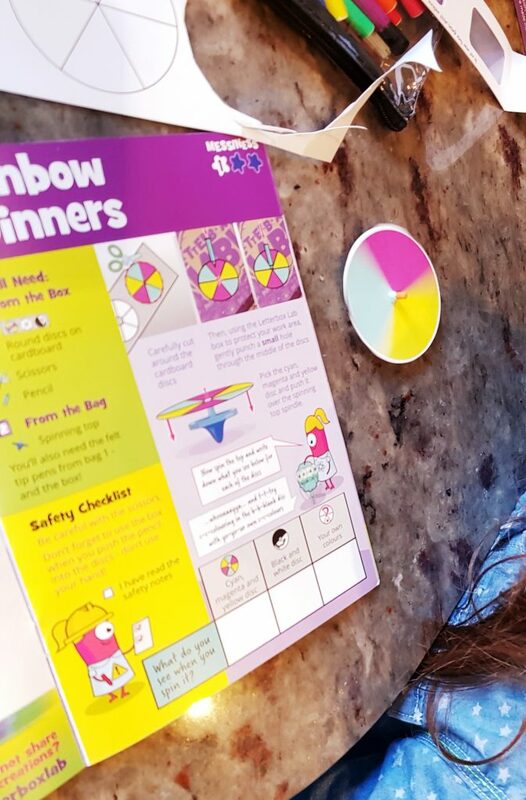 Rainbow Spinners is an experiment that also uses colours, but rather than separating them you mix them together. 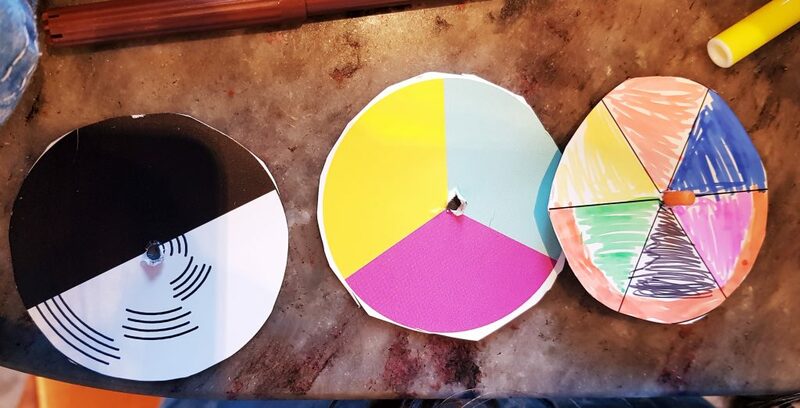 It uses a spinning top with different colored covers to see what happens when they mix through spinning. 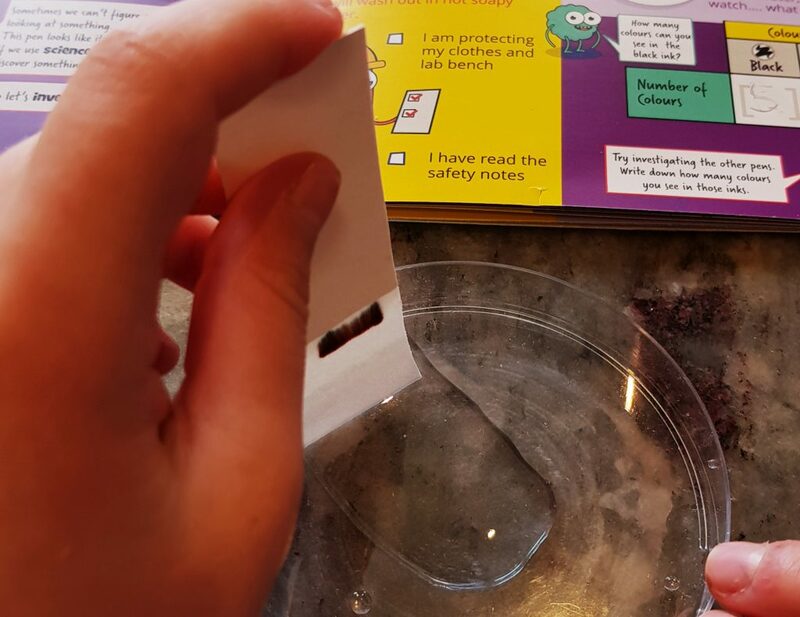 There is space in the booklet to note down your observations. It’s actually impossible to take a picture of the colours spinning and mixing, but it looks pretty good when you’re looking at it! 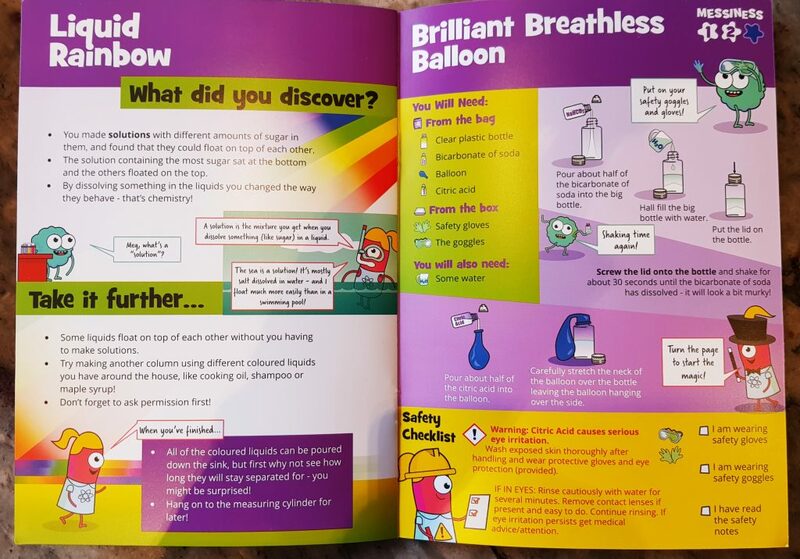 Again, we’re still waiting to do Brilliant Breathless Balloon, but this one uses more real chemicals, and looks like it’s going to be incredibly effective. My daughter was desperate to do Squirmy Worms! We’ve actually done this one before, as it was included in an Explore Box, and it’s absolutely amazing! It requires a bit of waiting as you have to leave the sodium alginate and water mixture for an hour or so to become gooey. Once it’s finished, you add calcium lactate to water, and then you get the real fun. 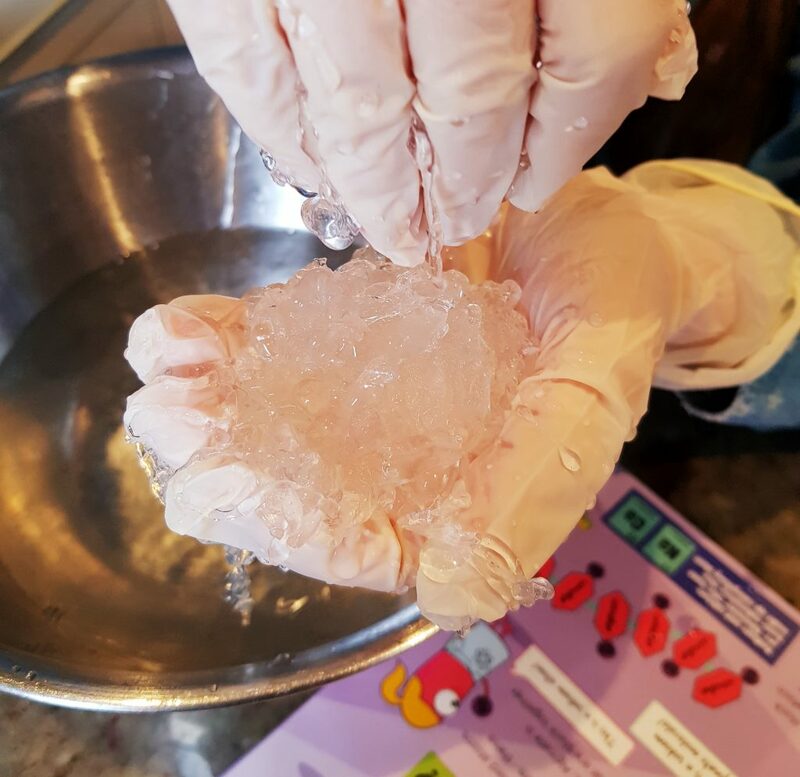 You fill the pipette with the sodium alginate liquid and squirt it into the calcium lactate water, and you get these incredible rubbery worm things! They are so much fun, and we spent ages playing with them. There’s loads of sodium alginate goo so you get lots and lots of worms. 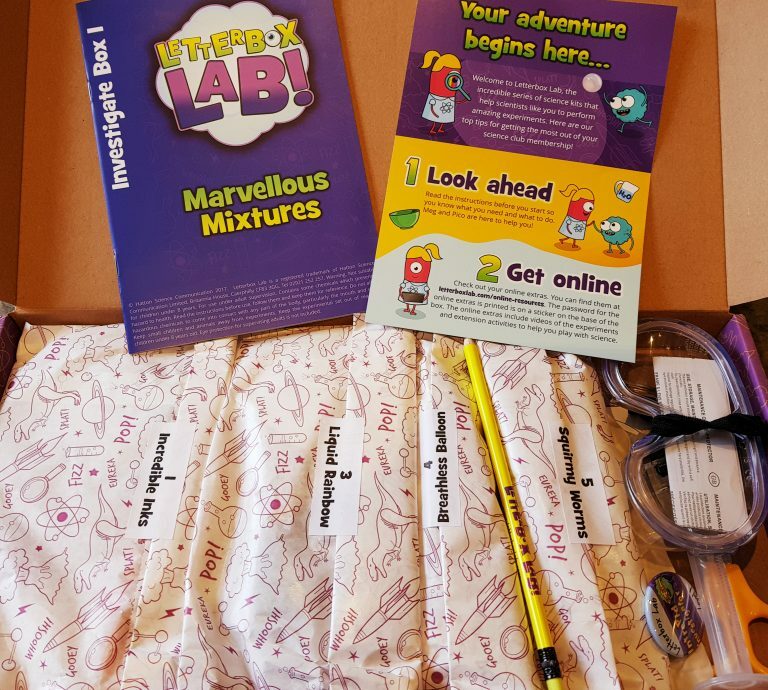 We both can’t wait to be able to finish these experiments! There’s definitely several hours of work here, so you could spend most of a day, or space it out over a few days. The instructions are really well done. They are incredibly clear and easy to follow, and there is plenty to learn about the results of the experiments. 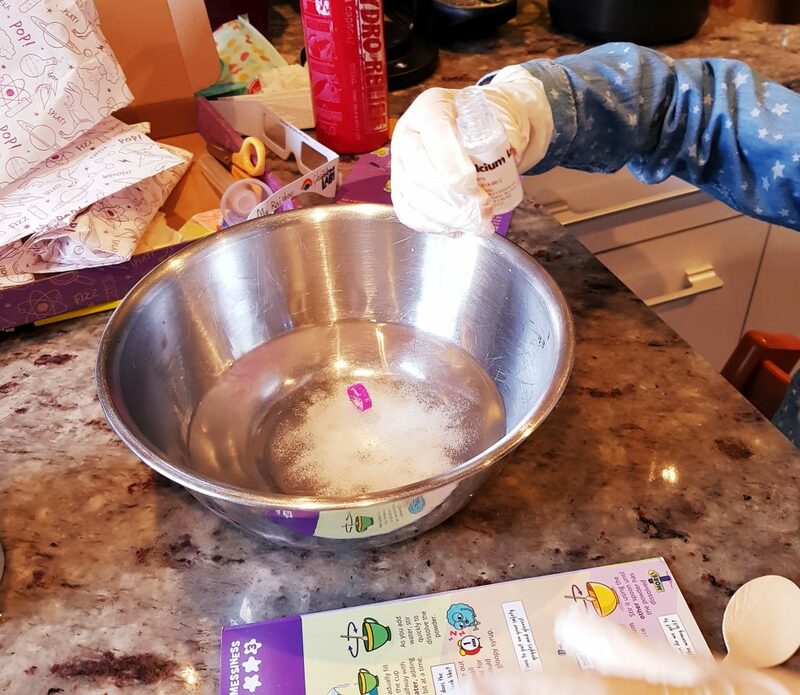 As this box is for slightly older children, the experiments definitely require a little more effort and patience, but the results are very rewarding. 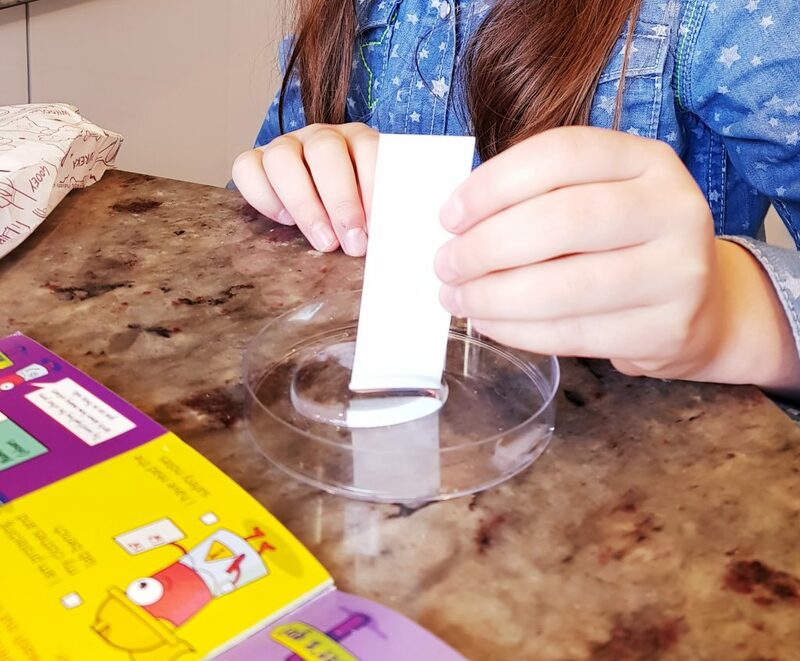 Children learn about scientific principles and are able to see them in action, and are guided through the process in a very effective way. 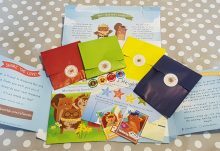 They are also encourage to use observation and draw conclusions, recording results in the booklet. 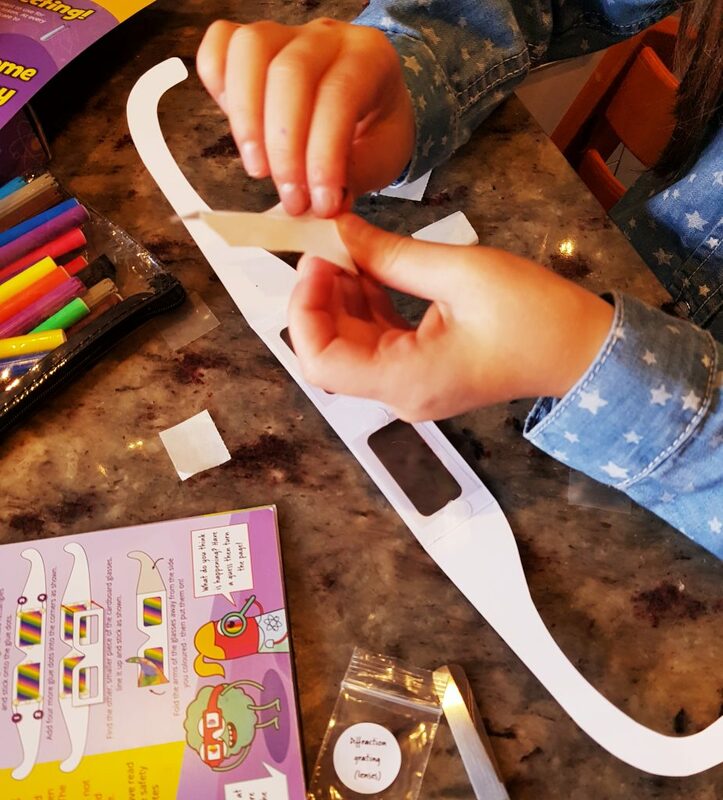 The extra equipment – especially the goggles! – is very welcome, and makes everything feel much more serious and grown up while still being tremendous fun. 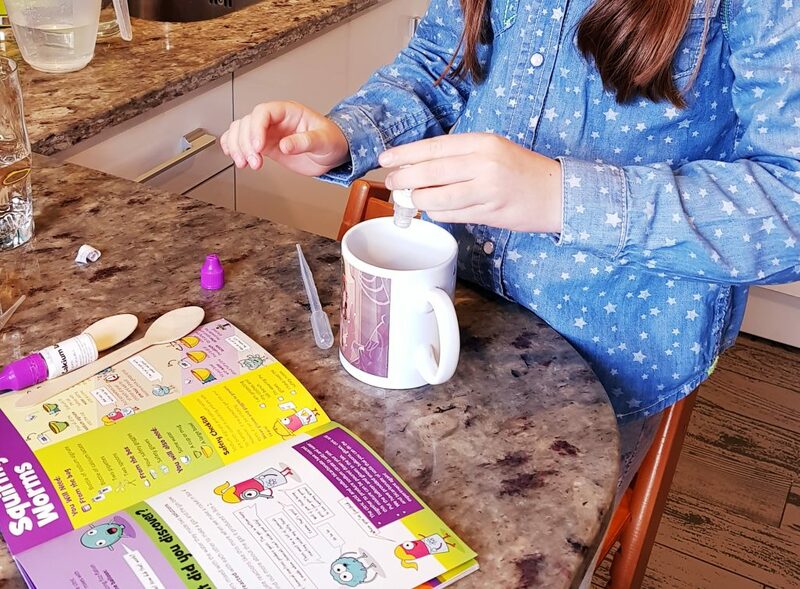 STEM subjects are so important, and even if children are not yet learning science in school these experiments and leaning experiences will stand them in excellent stead for their future education! 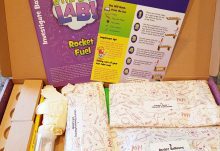 A superb hands-on introduction to science for children. Engaging experiments, impressive results, and real scientific equipment to collect. 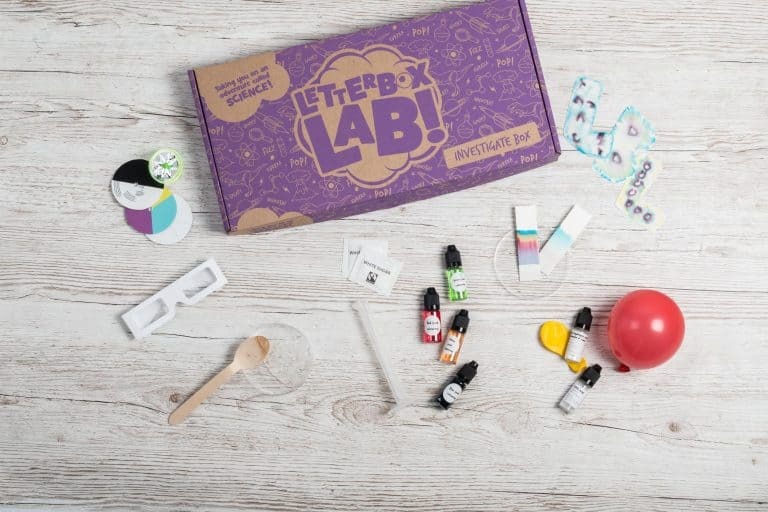 Perfect for encouraging children to enjoy science!